The Omnibus is situated in an old library in Clapham. The original space (called The Clapham Library and opened in 1889) contained a large reading room, meeting room, a flat for the librarian, and an extensive reference library. When the library was threatened with demolition, a campaign to save it was born. After 7 years of campaigning, Lambeth Council gave Omnibus a lease to create a local arts centre within the building. Since then, Omnibus has been committed to providing a diverse range of art at reasonable prices. 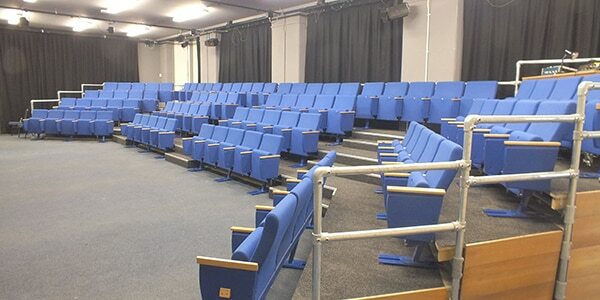 The theatre regularly features classical and contemporary musical performances, visual arts, storytelling, children’s theatre, and straight drama. The theatre runs a Saturday Plays programme, allowing interested parties to learn about theatre in a relaxed afternoon setting, as well as a youth theatre (Actors Alive).